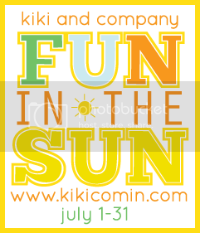 Today I'm over at Kiki and Company with a fun summer activity involving painting and bubbles. It's brilliantly entitled "Bubble Painting." Go here to check out the fun I had with my buddy Ryan making this fun art. Also look around at some of the other great posts in Kiki's series- she is having all kinds of fun over there! Also make sure to check out Jacey's blog to see the amazing gifts she sent me last week! If you've been around a while, you may remember this mini quilt I made a while back. It was actually sent to her, and now she has paid me back in the greatest way. 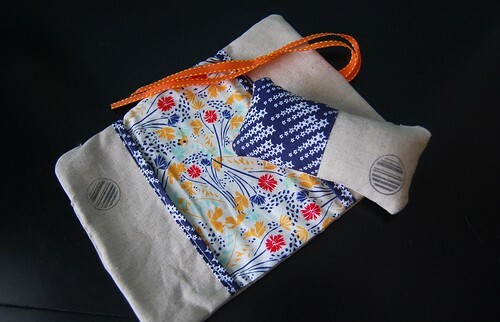 I seriously love my new pincushion, fabric basket and sewing kit. 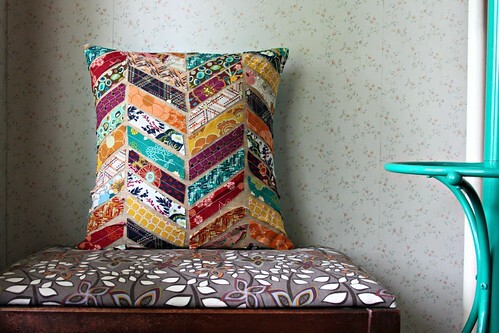 Can you believe I haven't been using a pincushion for most of my sewing career? What in the world? She really picked the greatest fabrics for me. (Her picture) Thanks so much Jacey!! The whole project has inspired me to give our living room a bit of a makeover, so today I made curtains and I hope to make two or three more new pillow covers soon as well. Quilt wise, I'm really close to finishing a gift quilt and then I'm itching to finish up the scrappy +&x. That one is always getting put on the back burner because it's just for me, but I WILL finish before fall is here! On the kids' clothing front, the next installment of Film Petit is in the works already and we are pumped about this one. Just chuffed to bits. Do you ever finish a blog post and think to yourself, "Wow, I really used way too many exclamation points on this one. How obnoxious... Oh well!!!" ooooh... you made curtains!! I want to see. Off to check out the bubble painting. cute bubble painting!!!!! i was so confused who that kid was when i saw your post!!!!!! can't wait for our august film petit!!!!!!! your gifts from jacey are super cute!!!!!! you knew you were asking for this when you called attention to your exclamation points!!!!!!!!!!!!!!!!!!!!!!!!!!!!!!!!!!!!!!!!!!!!!!!!!!! I'm so glad you liked your gifts!!!!!!!!!!!!!!!!!!! Heh. That's so fun to do. 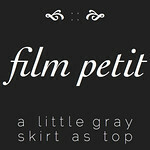 I can't wait for more Film Petit, and I can't wait to see what you come up with the West Elm/Maureen project. I'm participating, too. Although I'm not sure when I'll actually out my plan into action. There's a few to-do items that must come first. But soon! 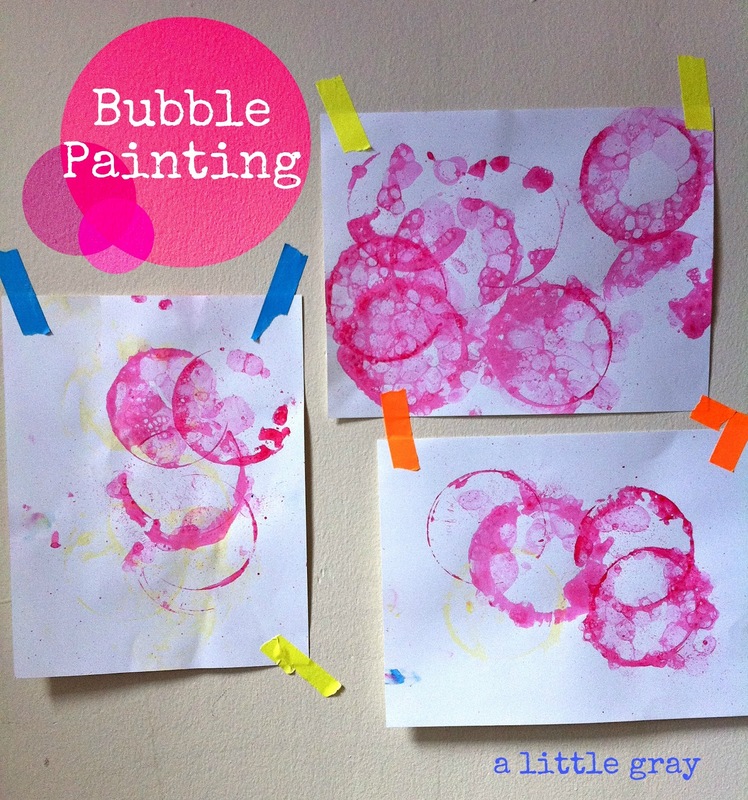 Also, I want to do bubble painting. That is awesomesauce!!!!!!!!!!! i love the explosion of exclamation points in the comment section. it is totally cracking me up! i can't wait to see everything you are doing and i really love your new pin cushion, it is so perfect!